Want to make your smart angling even smarter? 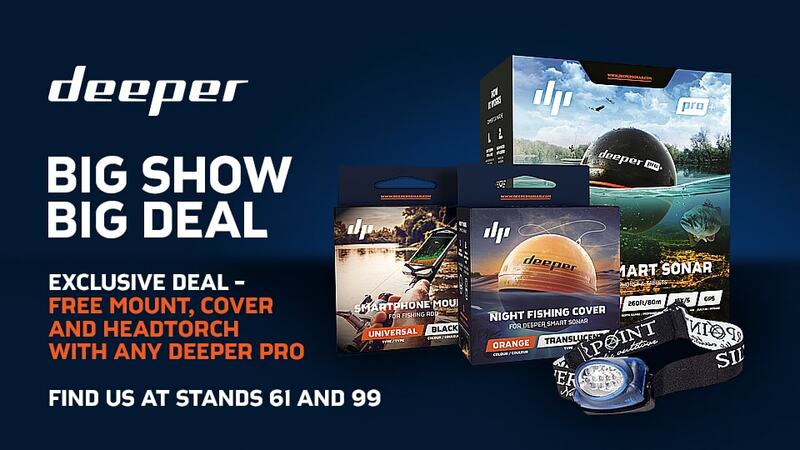 Keen to discover the full range of Deeper products and accessories? Catch up with the Deeper team at the Big One. Plus, Deeper Heroes Russ Guss and Matthew Pering will be at our stand sharing their tips, tricks and expertise. And just for the Big One, we’ve put together a huge deal. With any purchases of the Deeper Smart Sonar PRO we’re chucking in a Deeper Smartphone Mount and Night Fishing Cover, plus a Silverpoint Hunter XL25 headtorch. That’s £36 worth of gear! This offer is only available at the Big One, so get down to Farnborough Airfield, 8th – 9th April and find us at stands 61 and 99.